Famous gospel musician Jacob Kwaw popularly known as Jack Alolome has engaged a new personal manager of JILAC Media Productions. ‘Tomorrow by this time’ hit maker is now with JILAC Media Productions which is headed by Gordon Agyeman( Agyengo) a PR specialist. Agyengo who has experience in the music industry is eager to transform his musician to make more impact on the music scene in the coming days as he hits the European market with his new track (Wo so me mu). 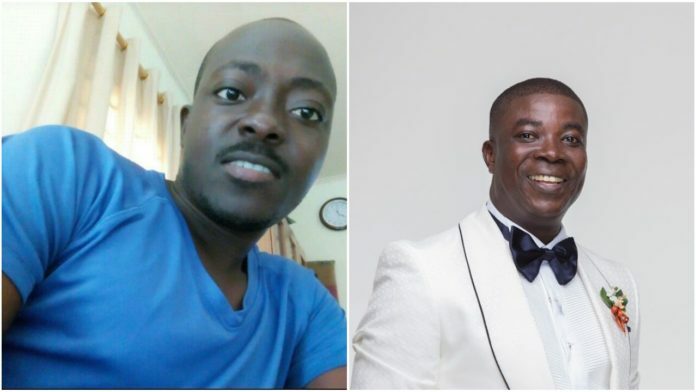 Speaking to Starr Entertainment, Agyengo tells Christians who want the best of worship songs should get a copy of his client’s latest album (Wo so me mu). Meanwhile, Alolome is set to leave the shores of Ghana alongside his manager for a major European tour next month.